When a poet writes an essay they cannot help themselves. Trapped within the essay are literary jewels, poems of exquisite beauty crafted and polished by the poet’s word-smithing skills. Michael Leunig is a poet so it is not surprising that his essay ‘Sleeping in on Doomsday’ from the Good Weekend, The Age (Sat 28th Nov 2009) had a poetic sensuality. 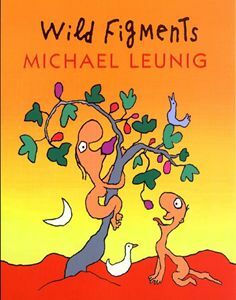 This embedded poem in the essay addresses the hopes Leunig has for his children, that they will not be tethered to the family tree but rather free to fly. free as they wish. Moreover, it is within all our capabilities to escape the gravitational pull of our origins. and don’t have much in the way of extended family. None of this to enshrine and uphold. Human nature is their story. And the air and into their bodies like a mystery. This is simply their lot. their faces still so glowing and open and young. There are many of them in this world and in this land. When they awaken they will create their own way. Michael Leunig is a Melbourne cartoonist, artist and poet. His short and often melancholic poems are published in a number of Australian newspapers. His enchanting poems have been published in books available through his website.